Nikon's exclusive and legendary ED (Extra-low Dispersion) glass lenses: Deliver superior sharpness and color correction for unmatched detail resolution. 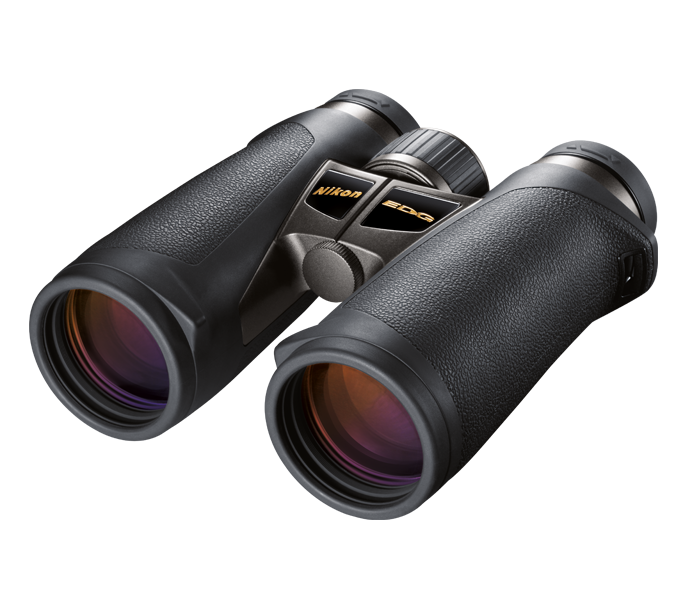 Field Flattener Lens System: This expert lens design minimizes field curvature, producing images that are as sharp in the peripheral areas as they are in the center. New body style: New ergonomic construction balances perfectly in the hand for extended hunts. Long eye relief with ratcheting eyecup adjustments: Allow for a perfect view, with or with or eyewear.